This 11x14" action shot is one of the most iconic photographs in NHL history. It captures Bobby Orr as he scored the series clinching goal, soaring in the air after being tripped by St Louis defenseman Noel Picard, in overtime of the 1970 Stanley Cup Final. 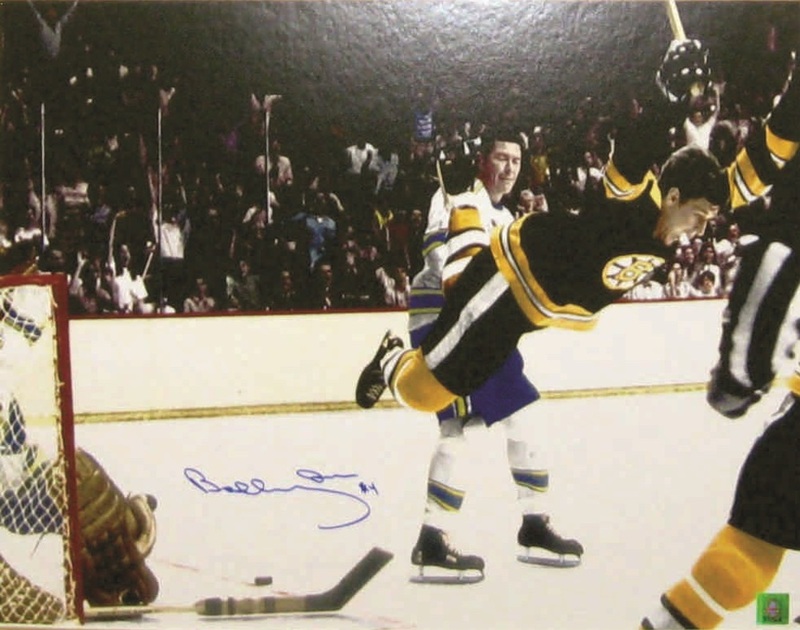 The photo was hand signed by Orr himself, is officially licensed by the NHL & NHLPA, and includes a hologram and certificate of authenticity. FINISHED SIZE 11x14"